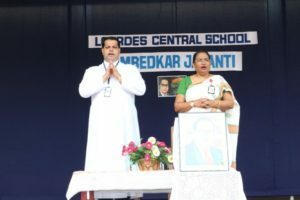 ‘Knowledge is the foundation of a man’s life’ said Dr Bhim Rao Ambedkar. 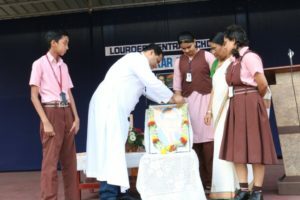 Lourdes Central School celebrated the 127th Birth Anniversary of Dr. B. R. Ambedkar on 14th April 2018 as a part of the Nationwide Celebrations. 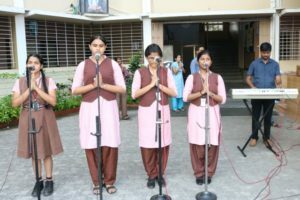 The event commenced at 8.00a.m with a prayer song sung by the choir members followed by thought for the day by Vaishnavi Suresh of Class X and Significance of the Day by Sonali Umanath of Class X. 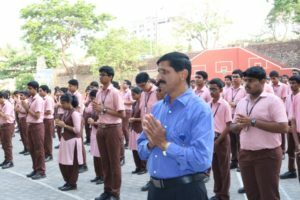 The Principal Rev. 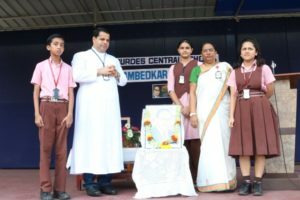 Fr Robert D’Souza, the Vice Principal Mrs Belita Mascarenhas along with the student representatives offered a floral tribute to Dr B R Ambedkar. 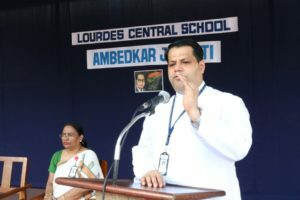 The Principal spoke on the occasion and said that Dr Ambedkar has occupied the 1st place by having founded the Constitution. 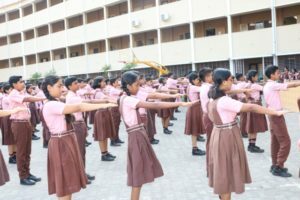 He stressed on two points – the first one was to be a responsible citizen by following the law and protecting the Constitution. 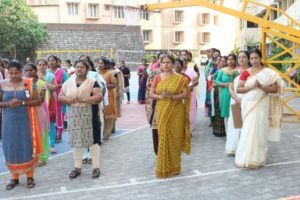 He also said that rights and duties are the two faces of the coin and when we enjoy these rights we are deemed to perform our duties without fail. 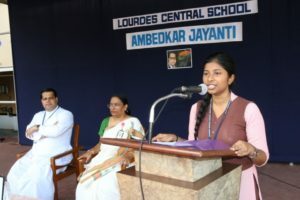 The second point was that we need to honour the Constitution by respecting others’ rights. 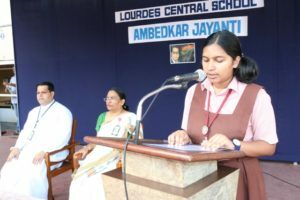 He appreciated the five pillars of our Constitution – Sovereign, Socialist, Secular, Democratic Republic and said that we were blessed to have them as citizens of India. 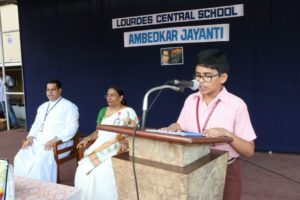 Varkey Mathew of Class X enlightened the audience with the contributions of Dr B R Ambedkar. 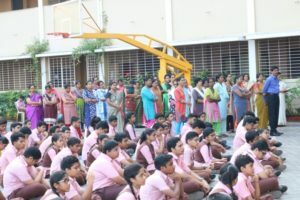 The programme concluded by reciting the pledge and respectfully singing the School Anthem. 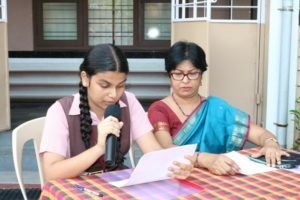 The programme was compered by Frazel of Class X.